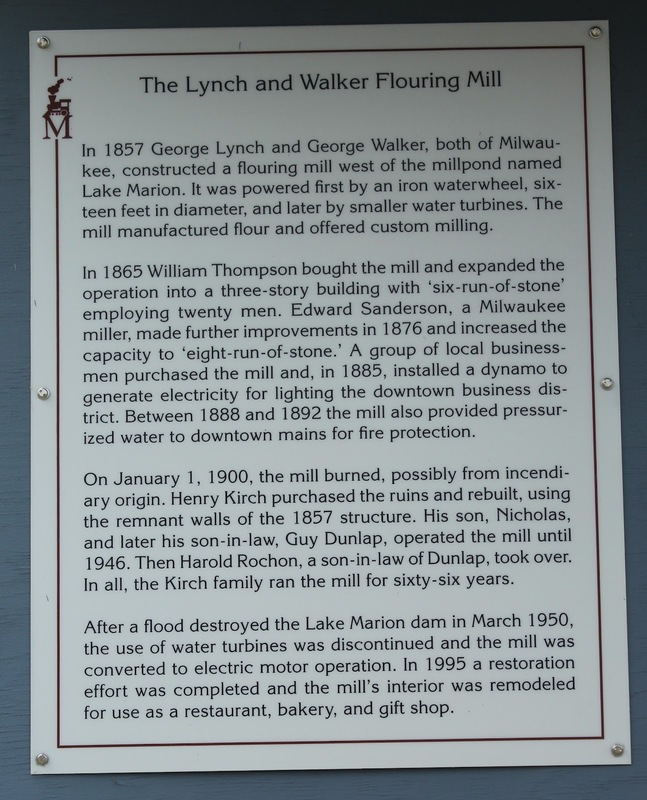 In 1857 George Lynch and George Walker, both of Milwaukee, constructed a flouring mill west of the millpond named Lake Marion. It was powered first by an iron waterwheel, sixteen feet in diameter, and later by smaller water turbines. The mill manufactured flour and offered custom milling. 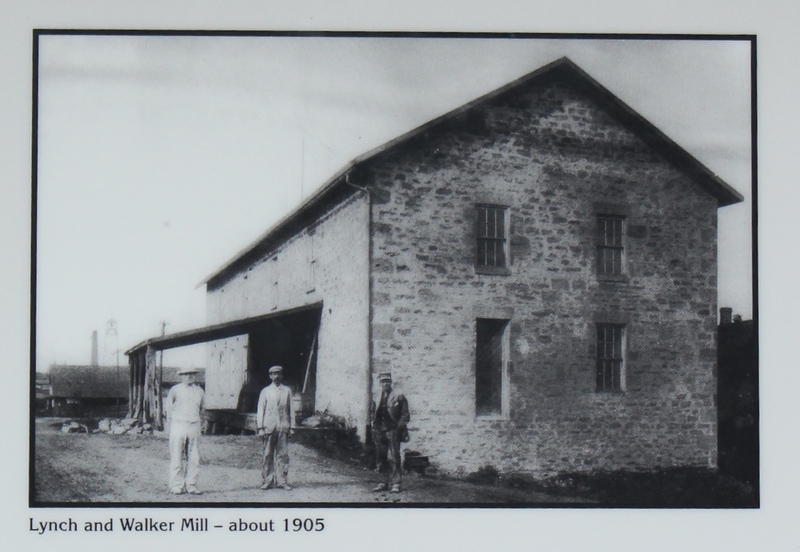 In 1865 William Thompson bought the mill and expanded the operation into a three-story building with 'six-run-of-stone' employing twenty men. Edward Sanderson, a Milwaukee miller, made further improvements in 1876 and increased the capacity to 'eight-run-of-stone.' 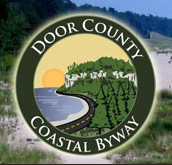 A group of local businessmen purchased the mill and, in 1885, installed a dynamo to generate electricity for lighting the downtown business district. Between 1888 and 1892 the mill also provided pressurized water to downtown mains for fire protection. On January 1, 1900, the mill burned, possibly from incendiary origin. Henry Kirch purchased the ruins and rebuilt, using the remnant walls of the 1857 structure. 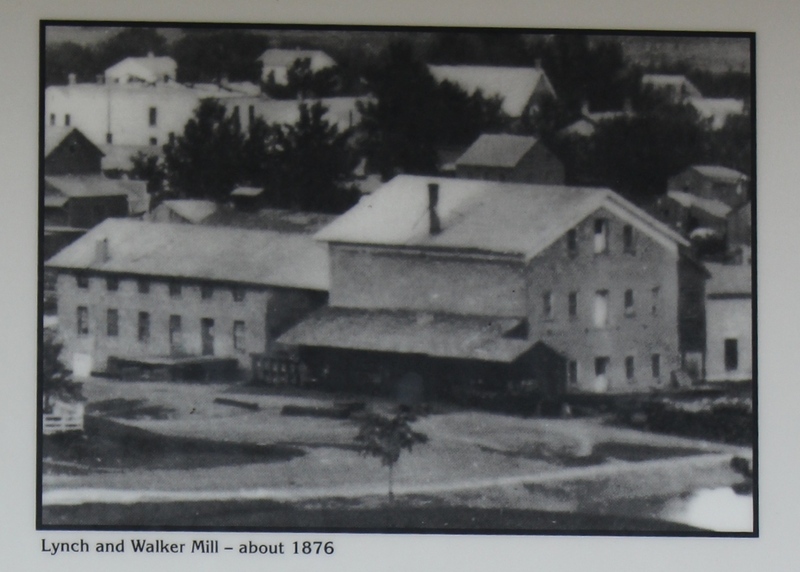 His son, Nicholas, and later his son-in-law, Guy Dunlap, operated the mill until 1946. Then Harold Rochon, a son-in-law of Dunlap, took over. 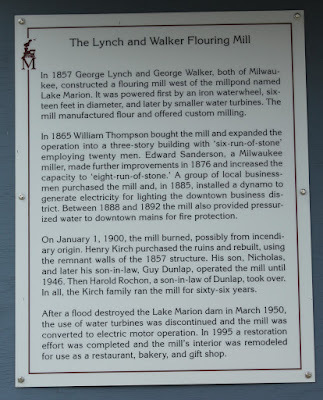 In all, the Kirch family ran the mill for sixty-six years. After a flood destroyed the Lake Marion dam in March 1950, the use of water turbines was discontinued and the mill was converted to electric motor operation. 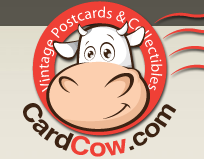 In 1995 a restoration effort was completed and the mill's interior was remodeled for use as a restaurant, bakery, and gift shop. With the Lunch and Walker Mill visible to the left. The Mill and marker are located in Mazomanie, Wisconsin.